I have a love hate relationship with nail polish. I absolutely love having my nails painted. It's just such a girlie thing, and I really enjoy how they look, all pretty and shiny. But, it just doesn't last! Even gel polish doesn't last long for me. All of the hand washing, dish washing, kid washing just takes a toll. At any rate, I still continue to paint them...when I can. I seem to gravitate to OPI colors the most. I used to love So Ho Nice to Meet You, which was almost identical to this color I am wearing today. The polish pictured is An Affair in Red Square, which is a prefect red for the holidays. My other favorite Christmas red is I'm Not Really a Waitress, which is slightly darker, but still shimmers. (The color online doesn't do it justice.) Wouldn't it be fun to have the job of nail polish namer at OPI? I mean, where do they come up with these names? So funny story, back when I was in college, my brother, who is 6 years younger then me, asked what I wanted for Christmas. Knowing he didn't have much cash, I told him he could just get me some nail polish, and that I really wanted the color "I'm Not Really A Waitress". My teenage brother was very confused how that could even be a color??? But, bless his heart, he went to the nail salon, asked for that crazy color, and gave it to me! And, many many years later, it's still one of my faves! 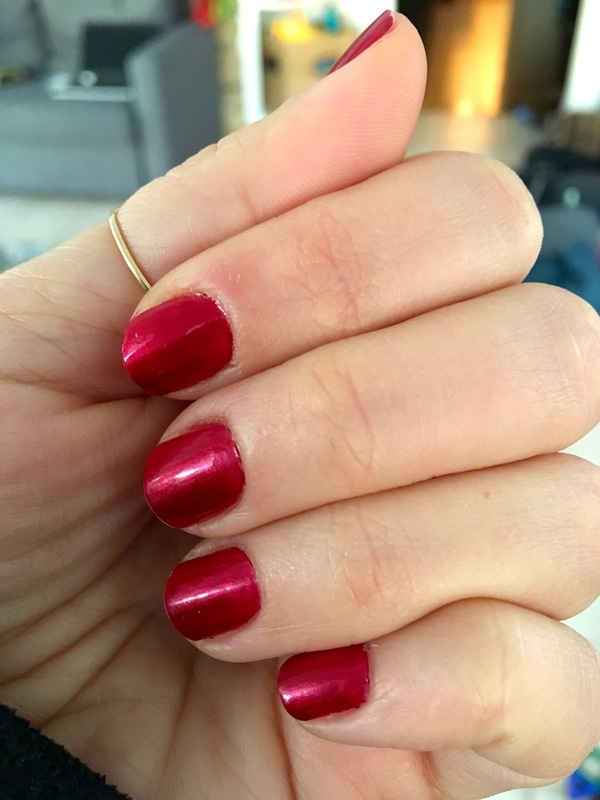 What is your favorite red polish for the holidays? 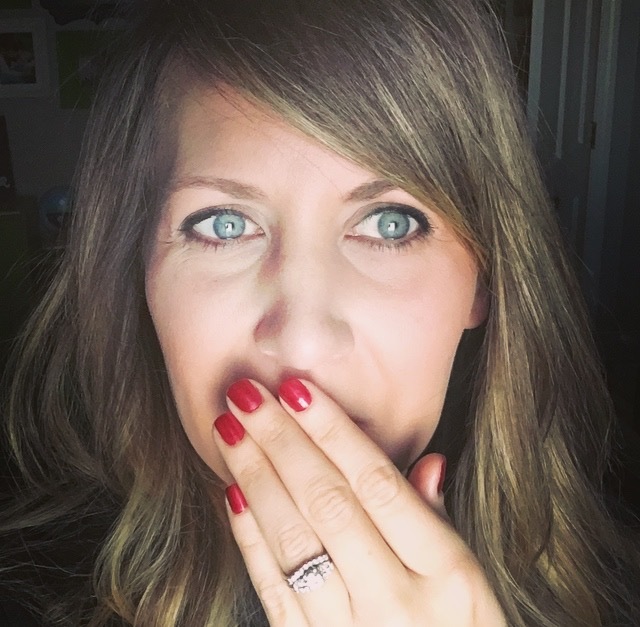 Speaking of the holidays, since that's all we have been talking about of the past 2 months now...I recently ran across this article and it really hit home with me. Chase still believes in Santa, but I find myself wondering how much longer it will last. My nephew was devastated when he found out that Santa was not real, so I have been pondering what I will do or say when faced with the question one day. I hate the idea of lying to him, but I also love seeing the magic in his eyes when he believes. I really like what this family did and how they handled the situation. What did you do/plan to do when faced with the dreaded "does he exist" question? New Year's Resolutions: Make 'em or Break 'em?